A new client of ours from Puerto Rico just closed on their second home in Miami. After a couple of months of looking for just the right combination of location, size and value they decided on a terrific unit at 1627 Brickell Avenue, The Imperial at Brickell. It wasn't easy because this building is currently undergoing renovation and there was a Special Assessment that had just been passed. The best part is, They love it! Here are the details: Three bedrooms with...Continue Reading! June sales on Brickell Key SOAR! Units at Asia start to sell. Inventory of available condos on Brickell key is 109. Hovering around the same number May’s 111. While all of the numbers are impressive, the Total Value of Sales in 2013 is more than double what it was last June. Yes, sale prices are up. Yes, list prices are also up. Yes, Average Days on the Market is down, meaning quicker sales. The other trend is that some of the priciest condos on...Continue Reading! The June 2013 numbers are in! Where possible we’ve compared them with June 2012 to show trends. As expected there weren’t as many sales of condos in Brickell as there were in May, but the gains that did happen in value are amazing. Have a look: For the third month in a row, inventory is up slightly, 34 more condos for sale this month than in May. There are now 660 condos actively for sale in Brickell. They range from a...Continue Reading! In addition to being one of the premier waterfront buildings in Brickell, The Jade Brickell has a few very unique units. The Bay Lofts are on the East side of the building and face the open Biscayne Bay directly. There are only two of these special units currently for sale. The one that just came for sale features:: One Bedroom + Den Two full bathrooms 1,246 square feet of air conditioned living area Multi-level design HUGE and private bayfront terrace Italian Snaidero kitchen Custom media and surround sound One...Continue Reading! If I was personally in the market for a one bedroom condo in Brickell, I would have this unit at Villa Regina at the top of my list. Why? The building - Villa Regina, is in an amazing bay front location at 1581 Brickell Avenue. Villa Regina is finishing major renovations. The results of which are impressive and will be enjoyed for years by a new owner. The condo - is on the 18th floor facing north with terrific downtown Miami and water...Continue Reading! But, the real story here is that even though most short sales have been cleared out of the system, this sale took almost five months to close after the offer was submitted and accepted by the owner in February. The lender still needed that long. The buyer had patience. Recognized a great deal. Had the funds available in cash. And did not give up. The end result is the buyer got a pretty good deal, in an older but well maintained waterfront...Continue Reading! Actually, it was under contract after only three days of being on the market. And it’s not because the Listing Broker has any special knowledge of the building or the improvement work going on or anything that a regular market sale requires. It went under contract in 3 days because it was priced under market value. When a foreclosure happens and the bank finally ends up owning a property, it becomes a bad asset and needs to get off the books...Continue Reading! Six Bedroom Duplex PH in Brickell at $292 per square foot? Let’s do the math on this 4,438 sq. foot Penthouse at Brickell East, located at 151 SE 15th Road, just next to the Four Seasons Miami. It is currently the only condo for sale in Brickell with 6+ bedrooms. Average Sale Price per square foot in Brickell in May 2013 = $397. That differential of $105/sq.ft yields $466,000 for renovations, just to get to “average”. 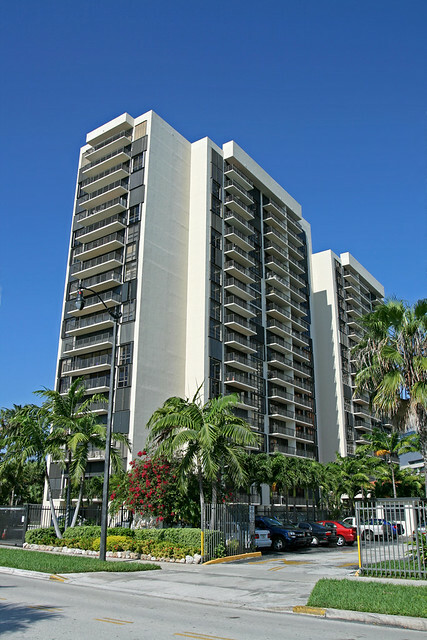 Brickell East was built in 1983 as a small boutique condo building just at the intersection of the...Continue Reading! How Do I Make An Offer Without The Support of Recent Sales? The Brickell Market is not experiencing the Summer slowdown that it used to. In fact, the lack of inventory and the tremendous amount of cash looking for a home, has allowed Sellers to increase their asking prices at a rate that is higher than comparable recent sales can support. This is true especially on Brickell Key. On Saturday, just as I was about to sit down to write up an offer for clients that I had shown only three properties, I...Continue Reading!